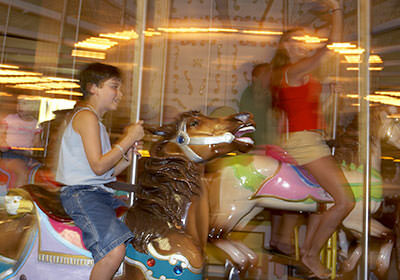 Our genuine antique carousel dates back to 1903, with 46 various animals. An authentic 1922 Wurlitzer Duplex Orchestral Organ provides the music. The Carousel has both standers (animals that are stationary) and jumpers (animals that gently rise and fall) as well as benches, so there is seating for everyone. These go-carts are styled after the famous Model-A cars of the early 1900s. 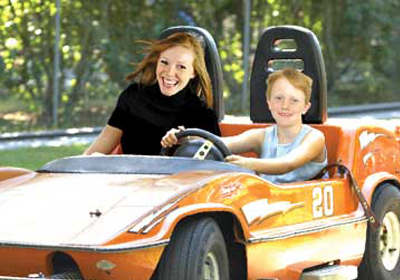 They travel at a top speed of 3 mph, with a maximum capacity of four adults per car. 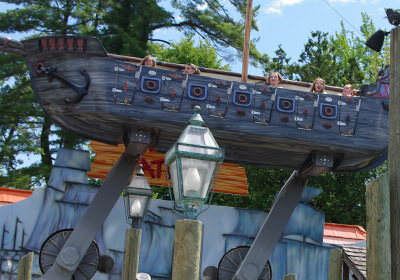 The Blue Heron Lake Cruise is a forty-foot pontoon boat that takes you on a 20 minute scenic cruise of Canobie Lake. 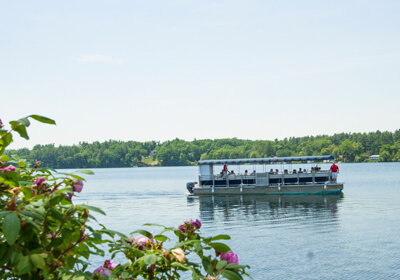 During your cruise, you will pass along the shore of Canobie Lake and see the park from a unique perspective as well as the intriguing real estate, architecture and horizons of the towns of Salem and Windham, New Hampshire. Boston Harbor Patrol is a ride for children and adults simulating a voyage on the high seas. The jostling of the carrier replicates the motion of the ocean and provides the entire family with a pleasant ship going experience. These go-carts have bodies that are modeled after new and old style sports cars. They travel at a top speed of 5 mph, with two people per car. The Caterpillar is a continuous, circular train of cars that travels over a soft undulating track. It has a heavy cloth cover that when closed, puts the riders in almost total darkness. Spinning is the sensation most people associate with the Crazy Cups. 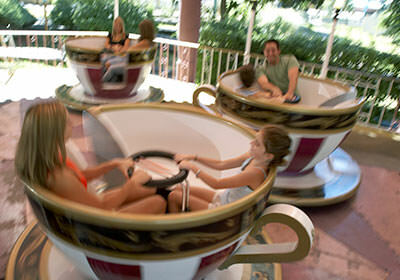 That is exactly what you will get on this attraction modeled after a traditional tea cup ride. Six cups travel in a large figure eight pattern while spinning around on their own axis. 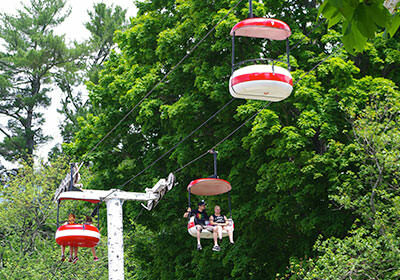 daVinci’s Dream allows the guest to simulate a floating sensation in a swing-style seat all the while getting a scenic view of beautiful Canobie Lake. 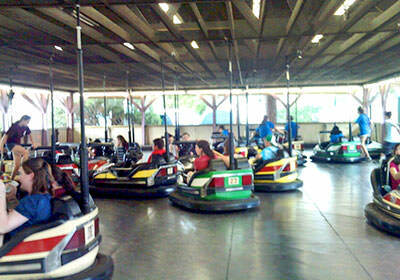 The Dodgem, or bumper car, is one of the few amusement rides from the turn-of-the-century that is still very popular today. It combines the skill of driving with the stress-relieving ability of bumping into someone. This means that the other Guests on the ride also have the ability to bump into you. 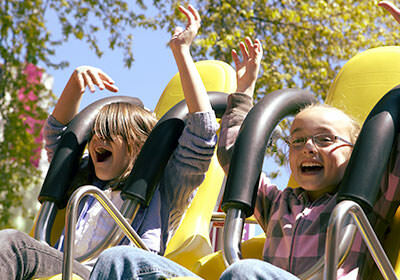 This also means that you have the ability to bump into other Guests on the ride, at any time, from any angle. 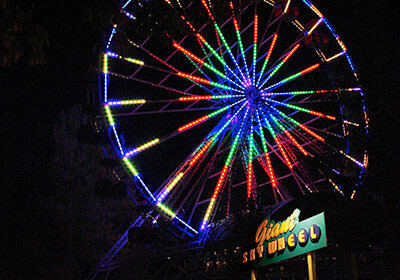 The highest point in the park is at the top of our 80 foot tall Giant Sky Wheel. From here you can catch a bird’s eye view of most of the surrounding area. 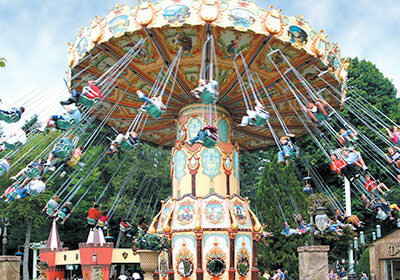 The Wheel features 20 gondolas, each with a maximum capacity of four adults. 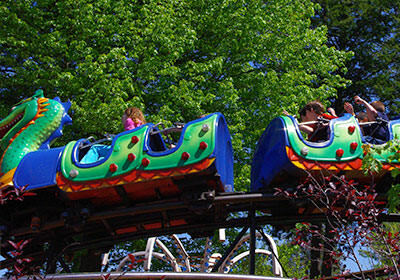 The Kiddie Dragon Coaster is designed especially for children, however adults may also ride. The unique bodies of the cars are designed to resemble a dragon, complete with a head and a tail. 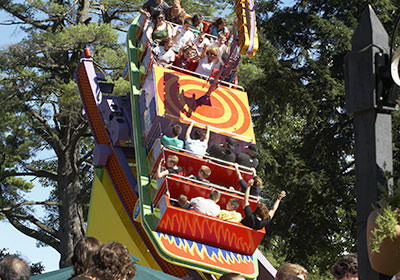 The ride includes moderate up-and-down action along with swift turns. The Mine of Lost Souls tells the story of two boys from Salem, Billy and Bobby Hollander, and their adventures in the Mine. It is a slow journey on a nineteenth century mine car converted for passenger use. 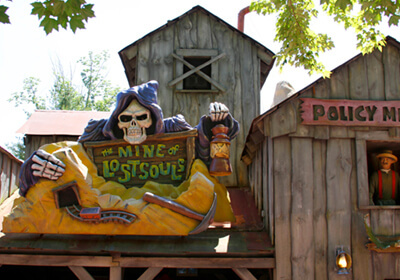 There are singing miners, creepy Grim Reapers and many more surprises as you venture further into the Mine. 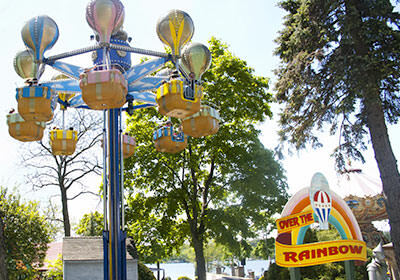 Over The Rainbow is a multi-faceted ride that allows guests to spin their individual carts at their own pace while the carrier system rotates and ascends 20 feet into the air. “Down on the Farm” is the theme of the Rowdy Roosters. Join the cows, pigs, lambs and geese for an exciting adventure as you and your rooster take flight. 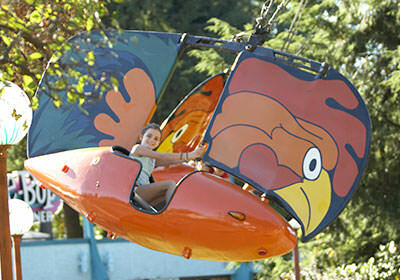 This ride is an updated version of the older Flying Scooters ride, which allows you to take control of your flight path using a large fin resembling the roosters head. Once the competition begins, the Skater takes riders on a whirling, daring, fun-filled romp through the sky, giving each and every rider the sensation of riding on a skateboard through a half pipe. 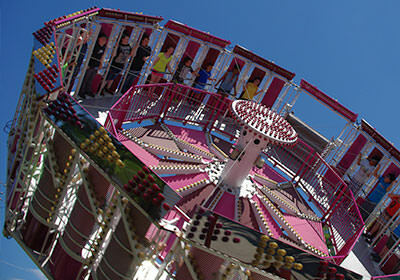 The Sky Ride imitates the action of a ski lift. Traveling slowly over the north end of the park, riders get the opportunity to rest their feet and enjoy a relaxing escape from a busy day. 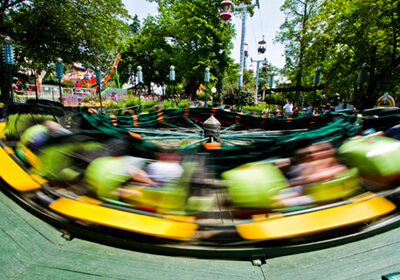 The Twist & Shout is a dual-action spinning attraction that also travels up and down throughout the ride. 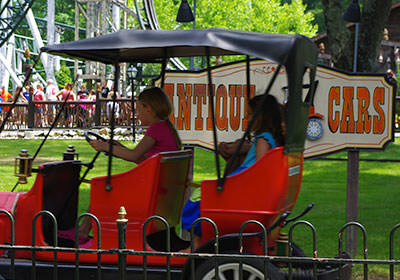 Dual-action simply means that Guests riding in a car that spins in a small circle, while the car sits on a platform that spins in a larger circle. Wave Blaster is the adult version of the Jump Around. 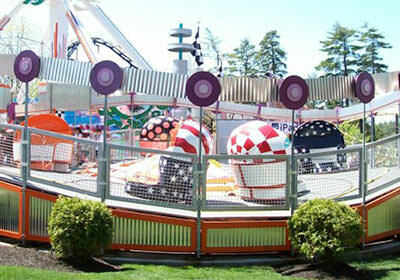 The Wave Blaster allows riders to create their own unique ride experience with varying degrees of bouncing depending on the combined weight for each row. In other words, the more weight in a row, the greater the bounce.